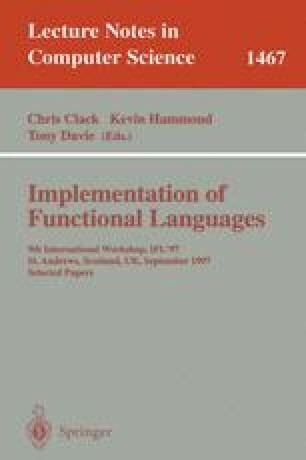 This paper introduces a new compiler optimization called With-loop-folding. It is based on a special loop construct, the with-loop, which in the functional language SAC (for Single Assignment C) serves as a versatile vehicle to describe array operations on an elementwise basis. A general mechanism for combining two of these With-loops into a single loop construct is presented. This mechanism constitutes a powerful tool when it comes to generate efficiently executable code from high-level array specifications. By means of a few examples it is shown that even complex nestings of array operations similar to those available in Apl can be transformed into single loop operations which are similar to hand-optimized With-loop specifications. As a consequence, the way a complex array operation is combined from primitive array operations does not affect the runtime performance of the compiled code, i.e., the programmer is liberated from the burden to take performance considerations into account when specifying complex array operations.